If you’ve been researching new Mazdas, then you’ve likely become aware of Mazda’s i-ACTIVSENSE® system, a driver assistance suite that utilizes technology like cameras, radar, and collision mitigation features in order to increase driver awareness and decrease the likelihood and impact of an accident. In recent years, Mazda has won a number of top safety awards, thanks in no small part to these high-tech safety features. See how Mazda i-ACTIVSENSE® can help keep you safer when cruising the streets of Charleston with this guide from Beach Mazda. One of the more difficult things about driving at night in Florence is reduced visibility, particularly when traveling down dark, winding roads. AFS helps solve that potential problem. Working in tandem with the vehicle’s steering column, AFS is able to actually turn the headlights, so the light bends around the corner, illuminating what’s coming around the curve, so you can better anticipate obstructions and make necessary maneuvers. With this technology, cruising around Florence has never been easier! MRCC is an advanced cruise control system that uses sonar to detect the distance between the front of your vehicle and the back of the vehicle in front of you. It then automatically accelerates and brakes in order to maintain a safe amount of buffer space. 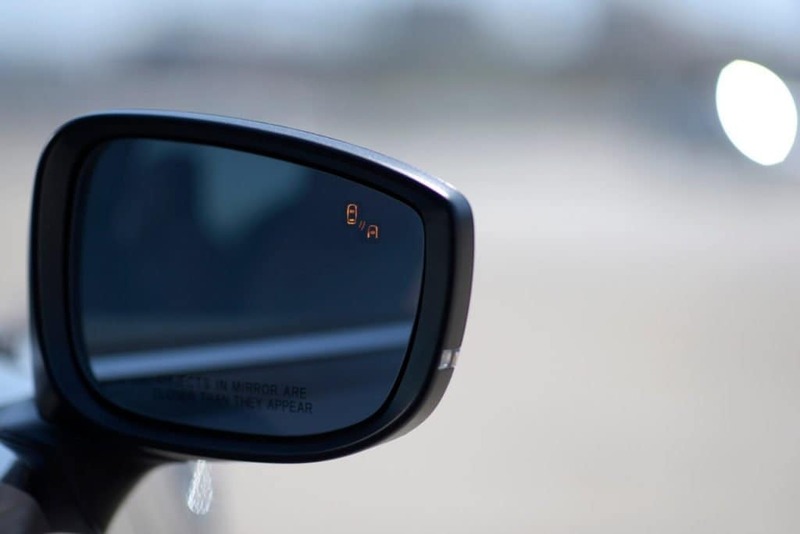 Also included is the Distance Recognition Support System (DRSS), which lets drivers know the exact distance between their vehicle and the one in front of them. There are even more advanced safety features offered in the i-ACTIVSENSE® suite, including the Traffic Sign Recognition, which might just help you avoid getting a ticket on the streets of Myrtle Beach. The best way to learn about these many systems, though, is by getting a closer look at the new Mazda lineup here at Beach Mazda. Our dealership is located at 855 Jason Blvd in Myrtle Beach, SC. If you’ve got questions for our staff about financing a new Mazda or any of the safety features discussed here, contact us today!